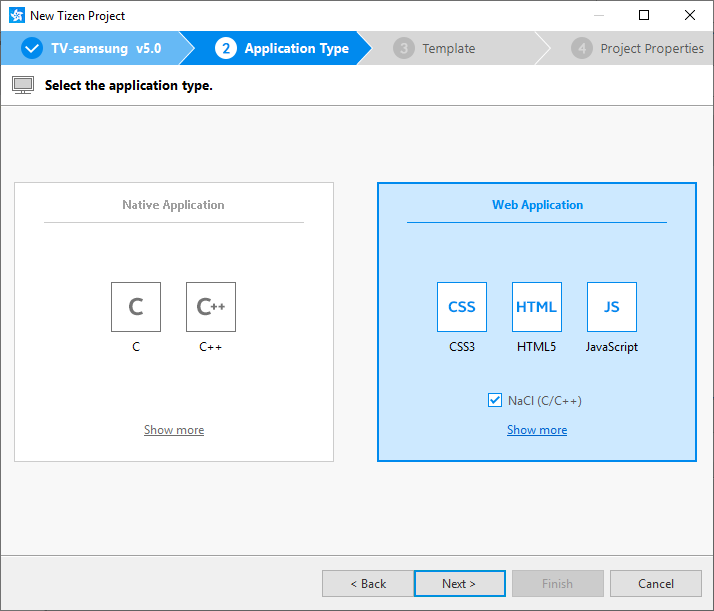 This topic describes how to create a TV application project with Native Client support enabled, which allows you to develop the TV application and its Native Client modules simultaneously. 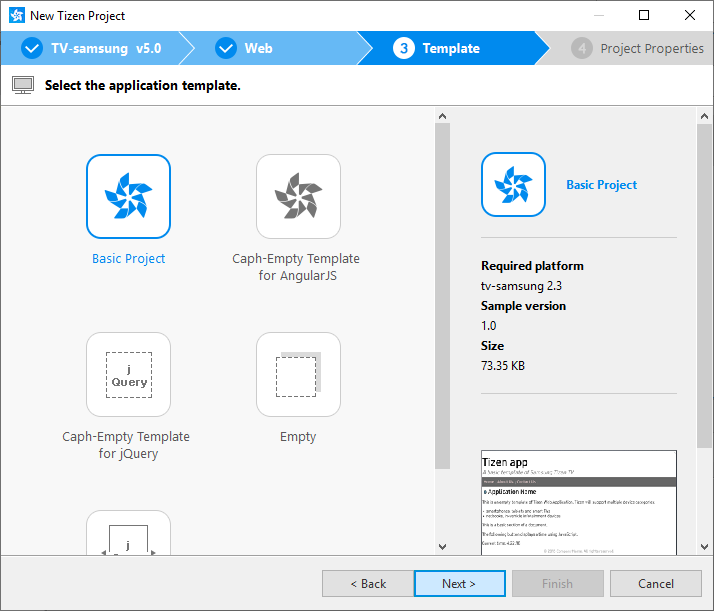 With the Tizen Studio, you can create a TV application project linked to 1 or more Native Client (NaCl) projects, so you can develop the TV application and the NaCl modules at the same time. You can create a new TV application project with NaCl enabled, or add NaCl support to an existing TV application project. 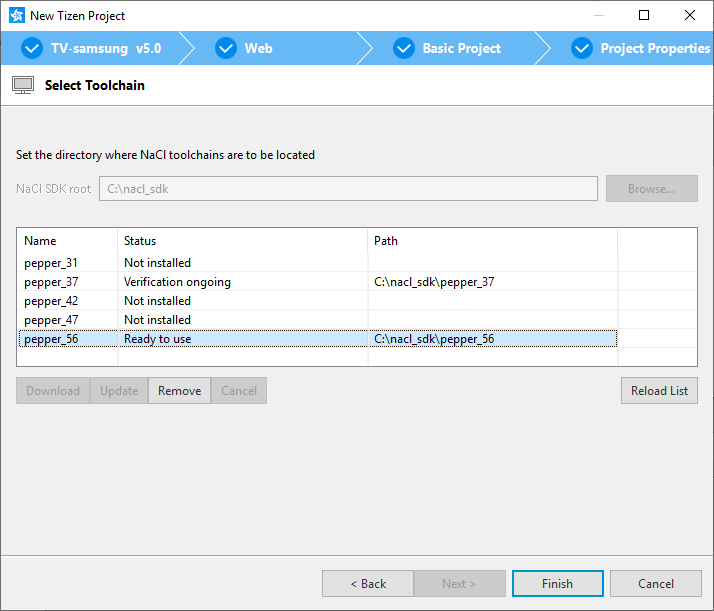 To develop NaCl-enabled TV applications, install the Tizen Studio with the Samsung NaCl SDK. 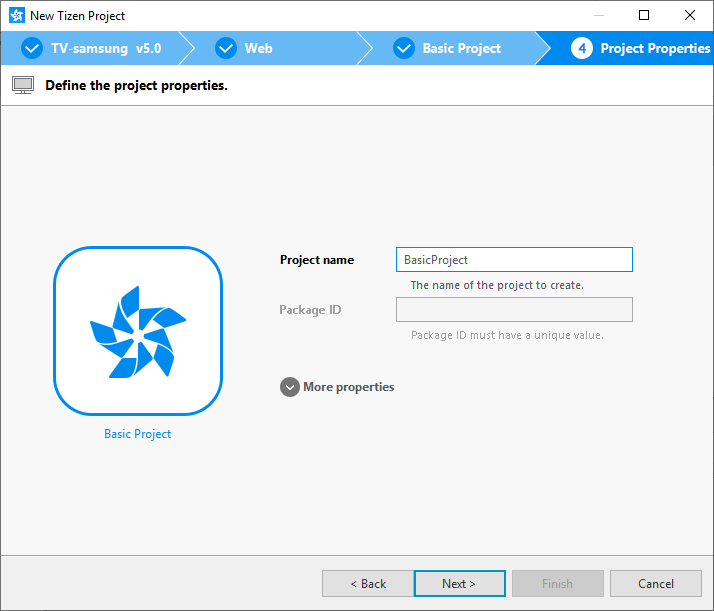 In the Tizen Studio main menu, select "File > New > Tizen Project". Select "Template" or "Sample", and click "Next". Select the profile ("Custom") and version from the drop-down list and click "Next". The available versions depend on the platform version you have installed and are using to develop the application. Select the "Web Application" application type, fill the "NaCl (C/C++)" check box, and click "Next". Select a template or sample, and click "Next". 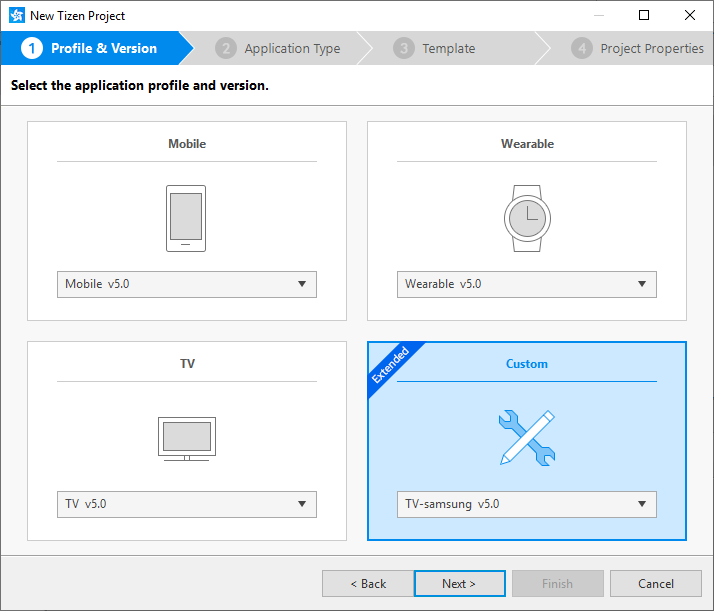 The Tizen Project Wizard creates the project based on the selected template or sample. Define the project properties and click "Next". Select the NaCl toolchain that you want to use for building NaCl modules, and click "Finish". If the toolchain you want is not installed, select it from the list and click "Download" to install it. You can switch to another NaCl toolchain at any time during application development. For more information, see Managing NaCl Toolchains. 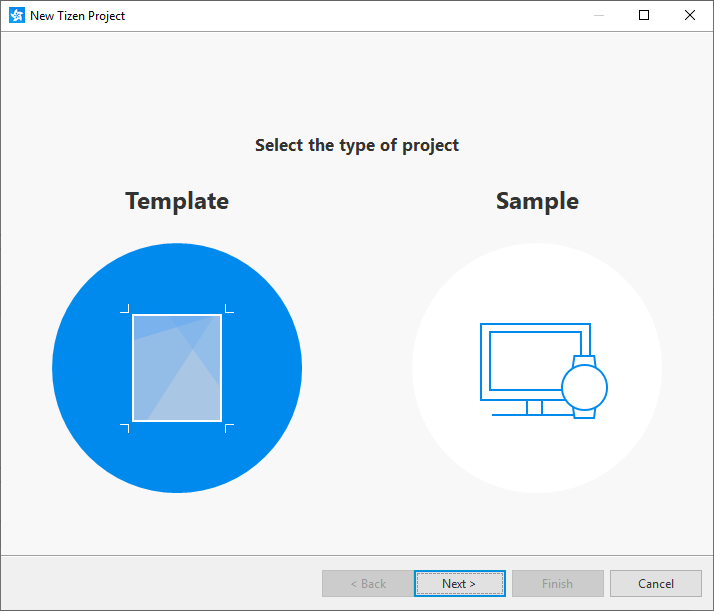 In the Tizen Studio "Project Explorer" view, right-click the project you want to add NaCl support to. Select "Configure > Enable NaCl support". Select the NaCl toolchain that you want to use for building NaCl modules, and click "OK".